With a 3-5 record and a rookie quarterback under center, the Jets do not look the part of a playoff team in 2018. But, things could change next year, GM Mike Maccagnan says, as the team plans to be “very active” in free agency next spring. The Jets’ most glaring need is in the pass rush department. They’ve tried to land some big fish this year – including Khalil Mack and Dante Fowler – but missed out on trading for both players. Building the edge rush through free agency is a pricey proposition, but the Jets are projected to enter the offseason with nearly $107MM in cap space, second only to the Colts’ ~$126MM. If Maccagnan goes for the big fish in March, he can explore a free agent pool that may include the likes of Demarcus Lawrence (Cowboys), Jadeveon Clowney (Texans), Frank Clark (Seahawks), Trey Flowers (Patriots), and Dee Ford (Chiefs). Lions standout Ezekiel Ansah is also scheduled to hit the open market, though his shoulder injury has kept him from playing ever since the season opener. Maccagnan may also seek to bolster the pass rush through the draft, but his results have been spotty outside of the first round. 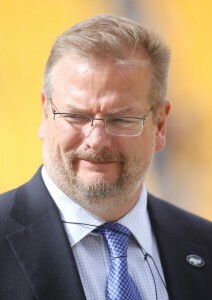 The GM defended his draft record when pressed about it on Thursday, but there’s no way to sugarcoat it – Maccagnan has missed an awful lot in the last four years, and that’s disappointing for an executive who was hired for his scouting acumen. Jets will get an outside rusher, slot DB, LT, and a guard in FA. Well considering that the 93 Cowboys team are now all 45-55 year olds I would say yes. Jets need pass rush, some OL, and WRs…badly. 107 mil, hopefully will get you some good pieces. Every team with a real young QB needs to look at the Colts as example 1A on how not to draft. Took them till Luck got seriously injured to invest in the OL. Jets need to get a Line in the worst way.